Did you know June is National Safety Month? As summer gets underway, many of us are heading on vacations, weekend camping trips, and road trips to summer camp. If you find your family is on the go and your schedule leaves the house empty, make sure you are taking the proper safety precautions. 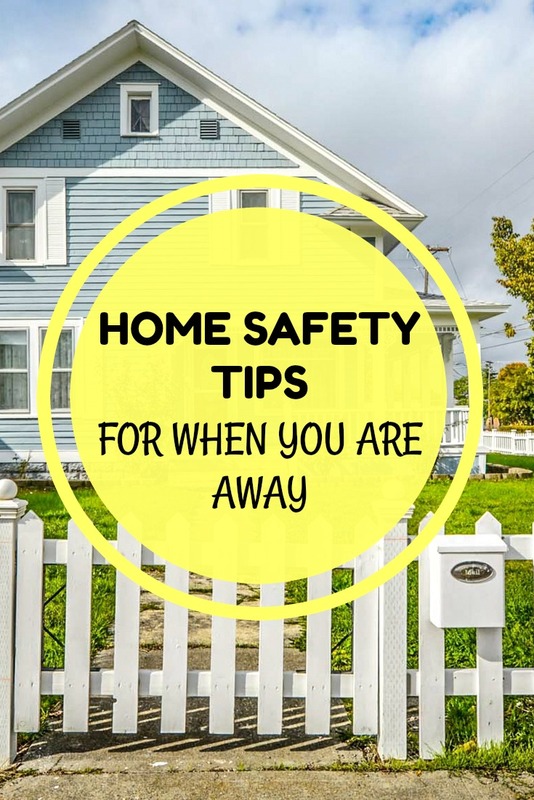 These Home Safety Tips for while you are away will give you a little more peace of mind. #1 Have a trusted friend or family member pick up your mail and newspaper so there isn’t build up in the mailbox or driveway. That is an obvious sign to everyone that drives by that you haven’t been home. You could also have those services stopped if you will be away for an extended period of time. #2 Let your neighbors know if you are friendly with them and trust them with that information. That way you have a set of eyes watching for anything strange going on. #3 Keep a TV and light on to make it seem like you are home, or set them on a timer if you have that function. This is something I do even if we are gone for just a few hours. It might make a little bit of a difference in your electricity bill but it can make a huge difference if a peeping tom is looking in the window. #4 Don’t blast it all over Social Media that you are leaving and when you are going to be gone. I like to post updates and photos like everyone else, but I try to wait until I am back home to share. I also don’t friend anyone one I don’t know or don’t trust to help avoid anything sketchy. 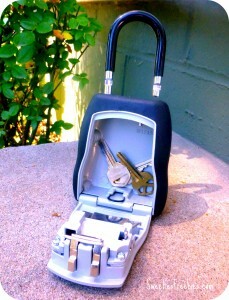 #5 Use a key lock box to store a spare key. If you have someone coming over to feed your pets, check your mail, or handle anything inside of the house, this is an easy way to have a key handy for them.